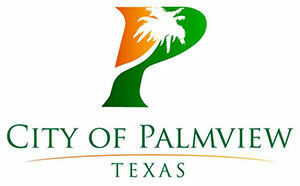 The city of Palmview was ordered to halt work on a sewer project as part of a lawsuit between the city and the Agua Special Utility District. During a hearing held Tuesday, state District Judge Leticia Lopez granted the temporary injunction filed by Agua SUD, putting a hold on construction until the trial. The sewer project is the focus of a lawsuit between the city and Agua SUD. Agua SUD holds the exclusive rights to provide services to the area and is currently working on its own $42 million project to provide sewer services to Palmview. However, the city launched its own project to bring sewer to a southern section of the city along Interstate 2 from La Homa Road to Breyfogle Road. The city’s project, officials said, would bring sewer to that area months sooner than Agua SUD’s project would. But because Agua SUD owns the CCN, the city would need its permission to move forward with the project. The city filed an application but was rejected due to some deficiencies, according to City Attorney Gus Acevedo, who added the city is currently working on a new application. The city attorney said he took issue with the judge’s characterization of the city’s actions as unlawful, arguing the city broke no laws. “There has been no violation of any law, just violation of rules and procedures,” said Acevedo, adding the city had no intention of violating those procedures either. The city is working with Agua SUD to come to an agreement, but once a new application is submitted, Acevedo said the city will possibly ask the judge to reconsider the injunction. Francisco “Frank” Garza, attorney for Agua SUD, said he was not aware the utility district and the city were working on any agreement or that the city was working on a new application, though he noted he serves as general counsel for Agua and is not the lead attorney for the case. David Oliveira, the lead counsel for Agua SUD, did not return a request for comment. Garza did say, however, that Agua SUD has always been receptive to meeting with the city to resolve the issue. Palmview interim City Manager Leo Olivares also expressed hope that the issue could be resolved soon.